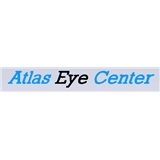 Atlas Eye Center (Plantation) - Book Appointment Online! Welcome to the Atlas Eye Center located in Plantation, Florida where Dr. Steve F. Atlas has been the sole owner and Optometrist since 1984. Located in the Shops at Broward, we are committed to providing you and your loved ones with the best eye care through precision and full attention to detail. Thank you for visiting our site and we hope to see you soon! Very polite, and professional, the staff are very helpful.